The reusable nappies have arrived to Seveso: a trial kit for families with children from 0 to 18 months is ready. 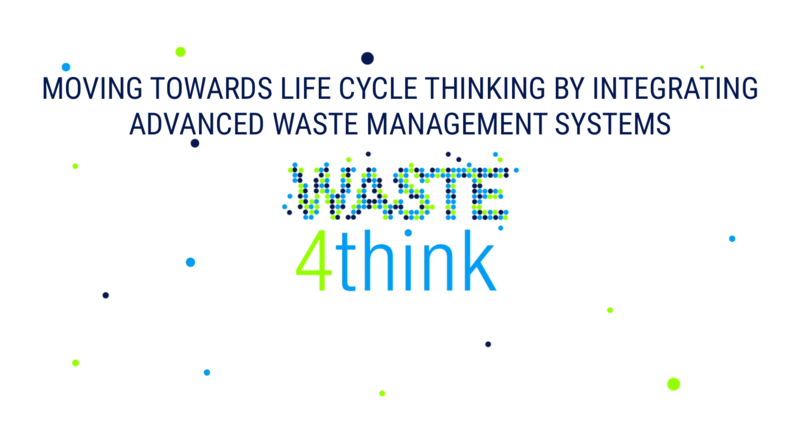 The objective is to avoid waste production and at the same time improve separate waste collection. 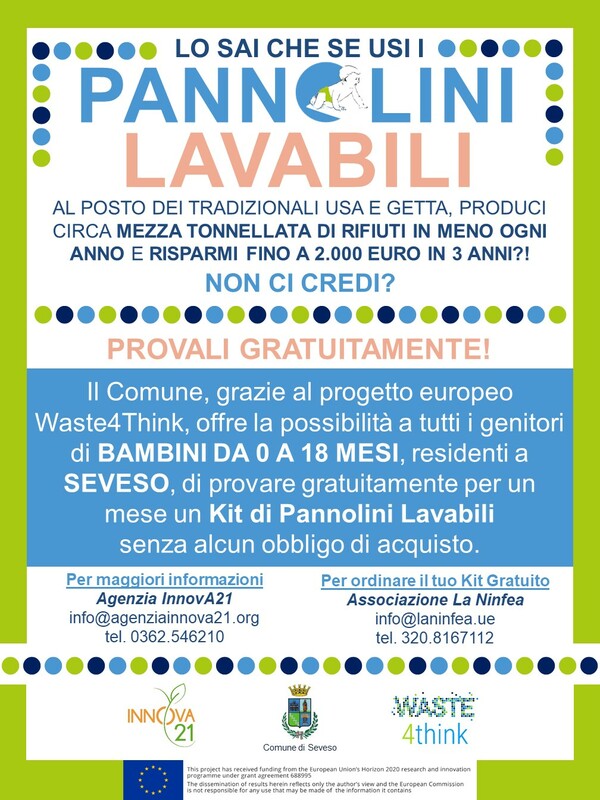 The initiative, linked to the Waste4Think project, is promoted by the Municipality and by the Agenzia Innova21, with the collaboration of the Ninfea association. For families with children from 0 to 18 months a kit will be made available with over 30 models of washable nappies, together with an informative brochure and a poster. In addition, the Ninfea association will provide a consulting service. “The goal is not only to avoid the production of waste with diapers, but also to improve the already excellent result of separate waste collection, which is 84%”, says mayor Paolo Butti. “In the first year of life, babies produce half a ton of diapers, a significant load for families- adds Simone Paleari, of Agenzia Innova21- the possibility of using 30 different models allows parents to understand with which nappy the baby is better”. 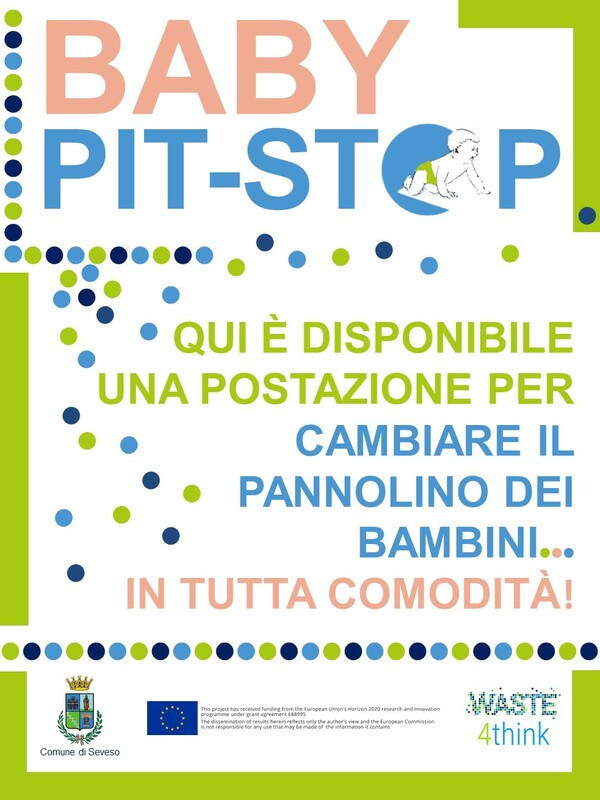 As highlighted by the head of the Ecology office, Raffaella Mariani, two special points with changing tables will be set up in the city, useful for baby’s spare parts: “One will be placed at the Bosco delle Querce and the other in the library”.